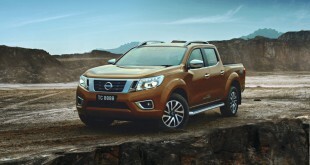 If you thinking to test drive some of the Nissan Cars, now it is a great opportunity for you to test it all at one go. 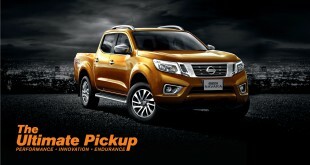 Edaran Tan Chong Motor Sdn Bhd (ETCM) is now organising a Nissan Premiere Test Drive (NPTD) campaign to be held in selected major showrooms in Malaysia. NPTD is a unique event where visitors can come to designated ETCM showrooms and have a fun-filled day test driving the soon-to-be launched fully imported models like the King of MPVs Elgrand, the innovative Juke and the stylish March as well as performance models, such as the 370Z Coupe and 370Z Roadster. Also available are the complete Nissan line-up models such as Teana, Grand Livina, Sylphy, Latio, Sentra, X-Trail, Frontier, Navara and Serena. Customers can look forward to an enchanting Nissan experience whilst driving the said models on a dedicated route charted out to feel each model’s DNA (Distinct Nissan Advantage). There will also be activities for the whole family to make it a complete lifestyle weekend. The objective of this campaign is to expose more Malaysian motorists to the uniqueness of Nissan and to let them personally experience the comfort, excitement and the ultimate pleasure of driving these vehicles, said Dato’ Dr Ang Bon Beng, the Executive Director of ETCM. 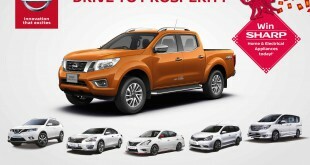 At the same time, ETCM is running the Drive Me Cra2y campaign which will end on 31st March 2012, whereby everyone could stand a chance of winning a brand new Nissan by simply test driving any Nissan vehicle.